Join us for the 10th annual Rising Stars Awards! 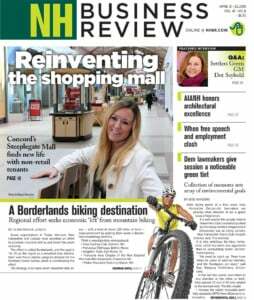 This program is an initiative of Stay Work Play, in partnership with New Hampshire Public Radio, to celebrate and recognize New Hampshire’s remarkable young people and the businesses that go the extra mile to recruit and retain them. Arrive on the Red Carpet and gain access to the incredible works of art in the gallery at the Currier Museum of Art. Test your chances at Plinko, where everyone that plays wins a prize, or the 50/50 cash raffle – all proceeds to benefit Stay Work Play and its mission. Attendees will also have the opportunity to speak with nominees for the “Coolest Companies for Young Professionals” and participate in the interactive live audience poll to select this year’s “People’s Choice” award winner. 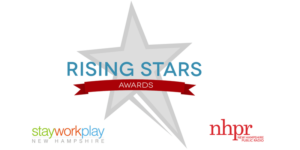 Come and celebrate young professionals making an impact in the Granite State as we honor our 2019 Rising Stars Awards winners!